Join us for the tournament with business connections. Golf with Arizona's top corporate leaders and small business owners. Lunch and dinner will be provided for all players. Come to golf while enjoying contests, awards and prizes! Remember, all proceeds will benefit the AZHCC Scholarship Program. For Sponsorship and Foursome information contact ElizabethF@azhcc.com. Beverage Sample Holes & More! 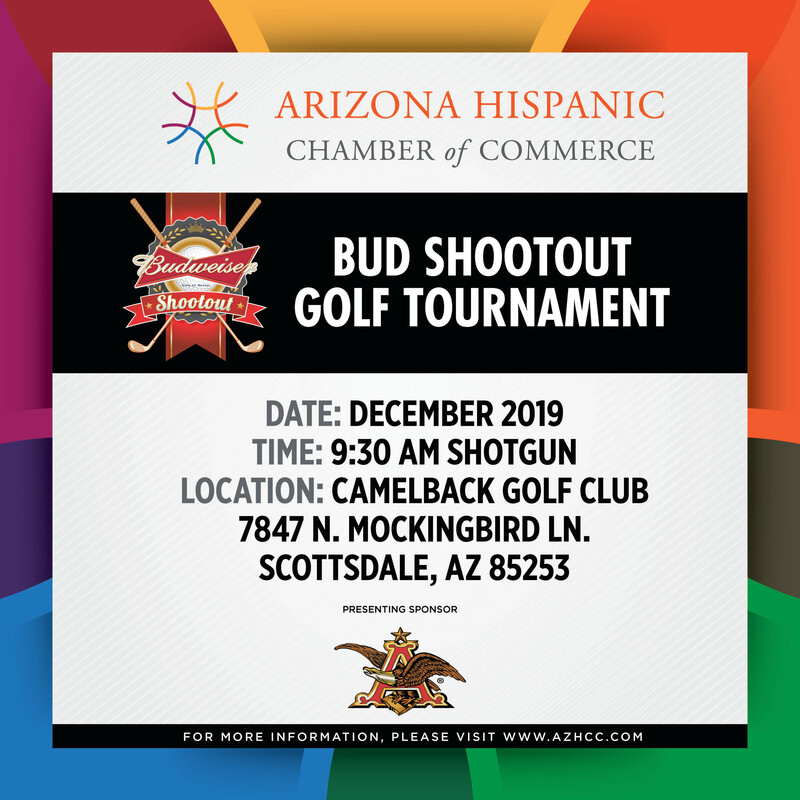 Since 1991, Hensley Beverage Company and Anheuser-Busch have hosted the Budweiser Shootout Golf Tournament with the sole purpose of raising scholarship funds for Hispanics striving to complete their college education. This year the 27th Annual Budweiser Shootout is supporting the Arizona Hispanic Chamber of Commerce Foundation. Your financial support of the Shootout has a significant impact on the ability of these four organizations to help students. We are hopeful that your organization will continue to partner with us in supporting education of deserving Hispanic youth. With 36 holes of championship golf, Camelback Golf Club in Scottsdale, Arizona, offers one of the most spectacular golf experiences in the Southwest – just as you would expect at one of the country's most decorated resorts. Book your hotel stay at JW Marriott Camelback Inn Resort and Spa for a special rate of $225/night. To reserve use this link, https://book.passkey.com/go/AZHispanicChamb2018Golf. To reserve: 1-800-922-2635 or 480-596-7040. Please call or email AZHCC Events for more information.